Just delivered to Georgetown, TX, this is one of our Braxton Grande Corner Sectionals in our 46″ deep version, but with a twist. This customer wanted to round the corner, just slightly, to improve the traffic path behind the sectional in their home. As with all customized orders, we started with a rough sketch, then we created a curve beginning 2 feet out in each direction from the back corner, creating a subtle rounded corner. The customer also chose to reduce the amount of cushions on each side of the corner from 3 cushions, down to 2 wider cushions. They also preferred that we break the corner back cushions into 3 smaller cushions making the curve complete. This one is tailored in our Brompton Cocoa Mocha leather, and this first image above is a great illustration of how much darker Brompton Cocoa Mocha is before you distress it. Brompton lightens dramatically wherever the leather is scratched, stretched or creased, which creates the dramatic distressed look that customers love about our Brompton Cocoa Mocha. 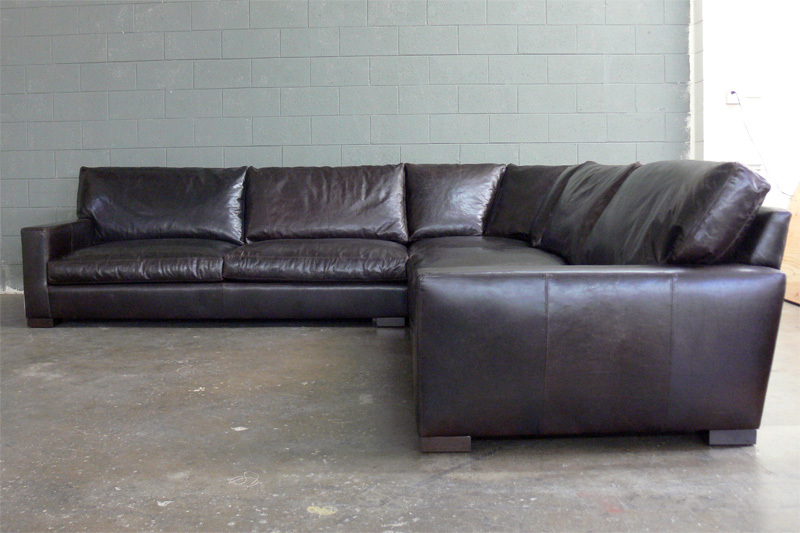 When we ship furniture in this leather, it’s 6-8 shades darker as it has yet to be distressed. That part is up to you, so find an excuse to sit on yours! 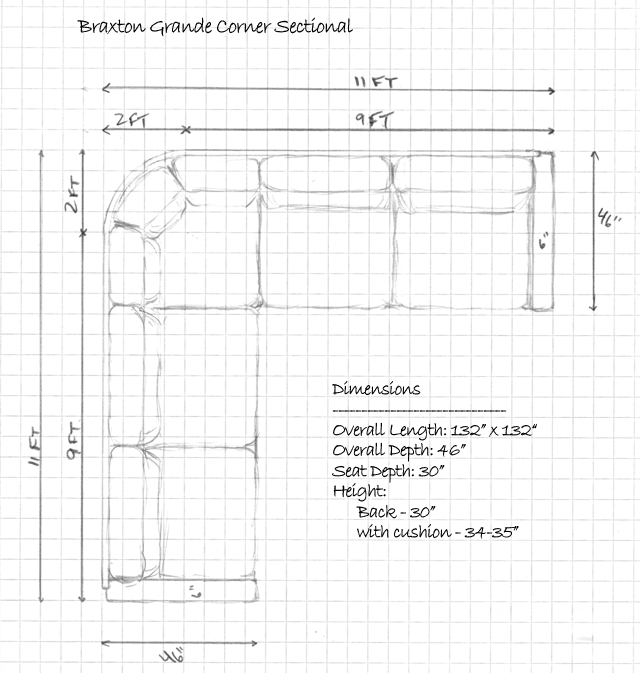 This entry was posted in Braxton, Custom Leather Order Feed and tagged 46" Deep, braxton collection, braxton grande corner sectional, braxton sectional, Brompton, Brompton Cocoa, brompton cocoa mocha, custom, maxwell leather collection, maxwell leather sectional on September 11, 2014 by LeatherGroups.